This story was brought to us by Patsie Smith who was researching her grandmother. She discovered that Elsie Withington had been a nurse at The Beaufort and had met her husband there, William Tattersall, who was serving in the Canadian Expeditionary Force. Documents in Elsie’s Service Record show that she did indeed refund the extra pay, and she married William on the 5th January 1918. 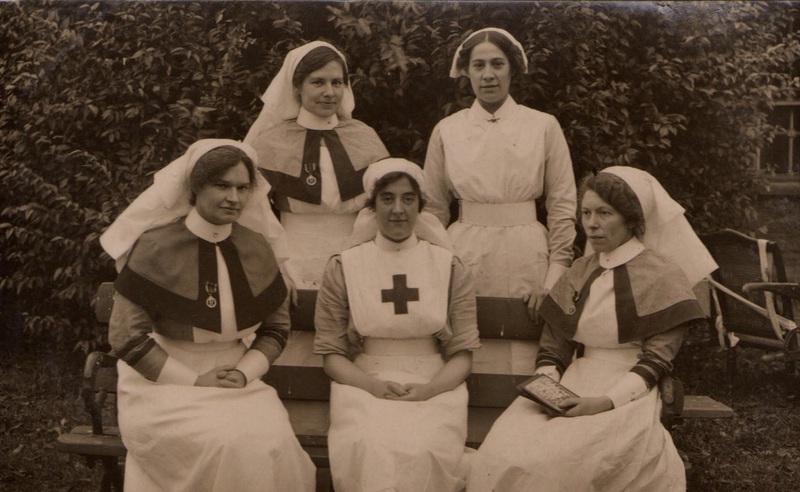 ‘It gives me great pleasure to speak for sister E Withington who held a responsible position as Charge Sister at The Beaufort War Hospital for two years….she is a good manager, kind and tactful, but firm when necessary, and nothing is too much trouble if it will add to her patient’s comfort. Elsie is in the bottom row on the right in the photograph. Many thanks to Patsie Smith.